General Background. Nora Darcher has been a student of the game for over 15 years. An East Coast transplant, she spent her early years out West in a coastal Washington town. Nora attended Naselle High School where she lettered 4 years in basketball. During her senior year, Nora led her team to an undefeated regular season (20-0) and ultimately placed 7th in the state tournament. She is currently 3rd in all-time career points at Naselle, having scoring more than 1,350 points. Nora earned first team all-league honors during her sophomore year and back-to-back league MVP honors her junior and senior year. Nora also earned honorable mention all-state her senior year. For her undergrad, Nora attended Carnegie Mellon University in Pittsburgh, PA, where she also lettered 4 years in basketball, as well as earned a double BS in Business and Political Science. A captain her senior year, Nora has always been a floor general. Despite being a shooting guard by nature, Nora was called on to play various positions in college including point guard and small forward. In addition to her dedication on the court, Nora was also a member of the Student Athletic Advisory Council. Regrettably life isn’t all play for Nora, and during the work day she provides her analytical abilities to a consulting firm. Coaching Experience. 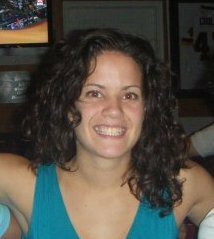 Nora is the assistant varsity girls’ basketball coach for Langley High School. This will be her first season coaching for the Matrix AAU program, and she is excited to have the chance to work with dedicated student-athletes this spring to prepare them for the next level in their basketball careers. Coach Nora will be joined on the bench this season by her Carnegie Mellon teammate, Leah Feola. Click here to see Coach Leah's coaching bio. Coaching Philosophy. Defense and fundamentals: No matter the age group, these are the keys to being successful. Nora wants to build the proper basketball foundation that will allow her girls to grow individually and as a team. Nora draws upon her own recent playing experience on the court, in order to provide specialized individual instruction to each of her players. Basketball has played an important role in my life and I look forward to inspiring this passion in the girls. This season will be about working hard, playing hard, and of course having fun. Last updated: February 4, 2010.